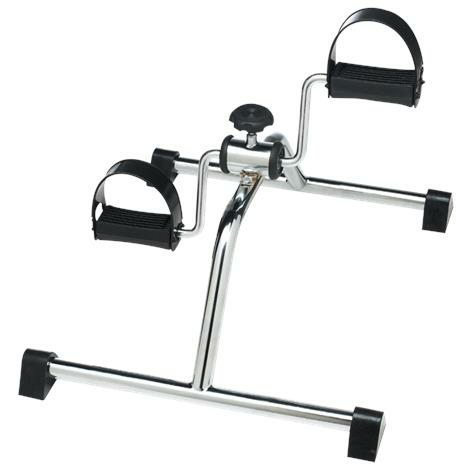 Carex Pedal Exerciser is ideal for users with limited mobility and can be used on a table top as an arm exerciser or placed on floor to exercise legs. Velcro straps safely hold feet firmly on the pedals. Convenient tension control knob allows a broad range of pedal resistance for a progressive exercise program.